At the risk of being outed that I binge-watched the entire Red Dwarf XI series yesterday, it’s on to the drama offerings from BBC Showcase 2017 in Liverpool. 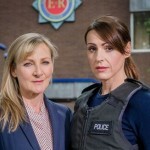 While Showcase’s past have brought American public television viewers the likes of DCI Banks, Luther, Scott & Bailey, Father Brown, Death in Paradise and Call the Midwife, 2017 is looking a bit more difficult when trying to identify a potential hit from the drama category. While many series have called it a day (Wallander, DCI Banks, Luther, Scott & Bailey, Lewis), there comes word that there will be new series from Father Brown and Death in Paradise. Coupled with the recent news that both Call the Midwife and The Durrells have been commissioned for additional series, things are looking up from a drama standpoint but there seem to be only a few new ‘gems’ that could make their way to the States in the coming year…. 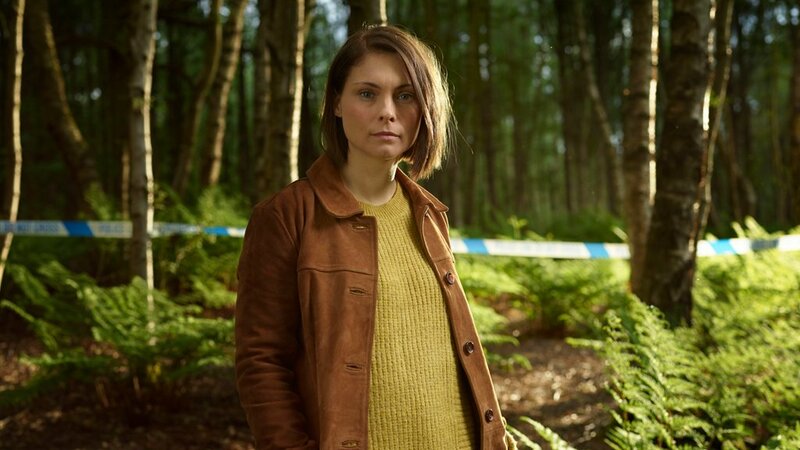 Written by Danny Brocklehurst (Exile, Shameless, Ordinary Lies) and adapted from the novels by Mark Billingham, In The Dark follows MyAnna Buring (Ripper Street, Downton Abbey) as Helen Weeks, a feisty yet fragile detective on a journey towards motherhood, who is faced with the daunting task to overcome childhood secrets and unexpected tragedy that befalls her to make the world a better place for her unborn child. Normally, I will watch pretty much anything that Nicola Walker is a part of. That feeling doesn’t change after screening Unforgotten which stars Walker as DCI Cassie Stuart and Sanjeev Bhaskar as DI Sunil ‘Sunny’ Khan. 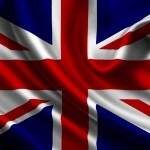 With series 2 on the immediate horizon in the UK, series one is available to head to the States soon. 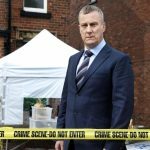 The six-part first series of Unforgotten focuses on a ‘cold’ murder case from almost four decades earlier, when the bones of a young man are found beneath the footings of a demolished house. An investigation begins that will unravel the lives of four people who have been waiting for this moment for nearly forty years, as they discover that the past can’t, and won’t, stay buried for ever. Starring with Walker and Bhaskar are Wolf Hall‘s Bernard Hill, Waking the Dead‘s Trevor Eve, Ruth Sheen and Sir Tom Courtenay. This one-off drama special stars Tim Roth and Anna Maxwell Martin (Bletchley Circle) in the story of one man who takes on British Prime Minister Tony Blair over Britain’s participation in the Iraq War.